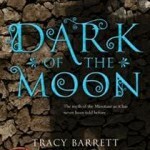 I like to keep it simple, so here's my review of Dark of the Moon by Tracy Barrett: I loved it. This re-imagining of the Theseus myth is fresh, fascinating and--most importantly--plausible! I love books that force me to rethink stories and myths and Dark of the Moon does exactly that. 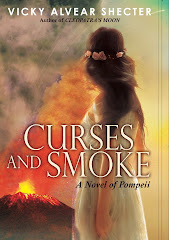 Plus, it looks at this ancient myth from Ariadne's point of view, tying her story to the slow dissolution of goddess worship in favor of patriarchal gods. 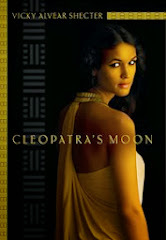 We also get the story from Theseus's point of view to counter-balance Ariadne's. 1. The Theseus myth is a classic "hero's journey" and, in that way, very male-centric. What inspired you to look at the story from Ariadne's point of view? It's pretty clear that the moon goddess played an important role in the religion of Minoan Crete, and perhaps this goddess was at the head of their pantheon. We don't know for sure, but when I'm writing historical fiction (as opposed to nonfiction, when I'm scrupulous about documenting sources and clearly labeling speculation as such), I figure that as long as something is plausible, I can use it. So I wanted to try to reconstruct a possible society based on moon-goddess worship. That, combined with the facts that I'm intrigued by familiar stories told by a narrator other than the one we're used to and that I'm drawn to a teen voice, made Ariadne a logical choice. 2. How much do we really know about the culture of ancient Crete? Not much, unfortunately, and most of what we do know was filtered by the mainland Greeks, who had a much different culture. 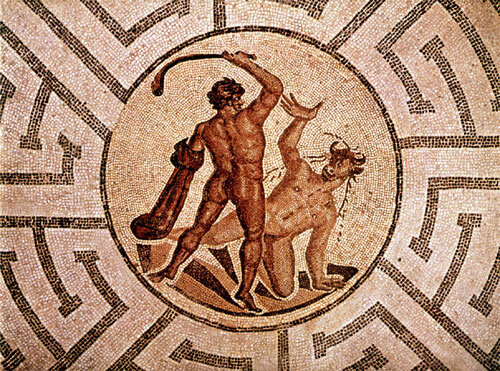 For example, the Minotaur myth is probably a garbled retelling by Greek (perhaps Athenian) travelers of a set of rituals where the sun-god, imagined by the Cretans as a bull, might have been represented by a priest wearing a bull's head mask. 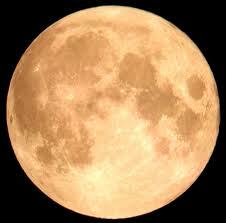 Perhaps this priest engaged in a ritual marriage with the priestess of the moon-goddess. It's possible that the Cretans practiced human sacrifice. The Athenians and Cretans were bitter rivals for supremacy in the Aegean Sea, and it's no wonder that they saw the whole thing as something perverted, or wanted to present the Minoans as bloodthirsty savages who kept man-eating monsters in their basements. All of these elements could have combined to make the wonderful story of the Minotaur. 3. I love how you worked in scenarios that "could have happened" as a way to explain some of the "Tall Story" aspects of the original myth. How did you come up with these moments/scenes? That's one of those mysterious processes! I love puzzles; I'm always working on a crossword or a sudoku or something else. When I hit an issue like, "Why would someone need a ball of yarn to get out of the labyrinth?" (I've seen the maze of storerooms that were probably the inspiration for the labyrinth, and it wouldn't take much to get out of it), I treat it like a puzzle. I investigated yarn, what its meaning was in ancient Greece (since the Greeks, and not the Cretans, tell the story of the ball of yarn), etc. Then when I find new use for the ball of yarn that fits both the mythological source and my story, it feels like magic, even though it's the result of a lot of researching and thinking. 4. What was your favorite part of the book? I really enjoyed writing the part where Ariadne is drugged into thinking she has become the moon goddess (or did she really become the moon goddess?) and surveys the crowd, looking for the incarnation of the sun god. 5. Why do you think these ancient tales still have the power to enthrall us so much? I actually have a theory about that! The myths were told and re-told by different people long before they were written down. Each teller had a different life history, a different set of personal beliefs, and a different way of looking at the world, and each left her or his own subtle imprint on the story. 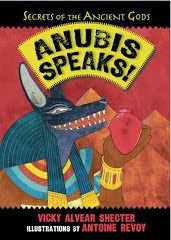 This multiplicity of narrators makes the myths and legends so layered and rich that everyone can find something meaningful in them, and they can be read and interpreted in many ways and on many levels. 6. What's your next book going to be about? It's so new and fragile that I'm afraid of talking about it for fear of breathing too hard on the bubble and breaking it. Let's just leave it at a slave girl in the ancient Roman world who faces a personal crisis at the same time that her world faces cataclysm. Wow, that sounds awesome! Thanks Tracy! Oh, I LOVE this idea! Will definitely add Tracy's book to my TBR pile. And P.S. I loved King of Ithaka, too. Thanks for sharing these interesting insights into your story and writing process, Tracy. Your King of Ithaka was excellent, so I'm looking forward to this new Tracy-twist on an ancient tale. Thanks, all! Praise from Vicky is praise indeed. 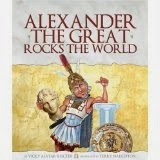 This is the first I've heard of this book but it is going on my wishlist ASAP!! Thank you!